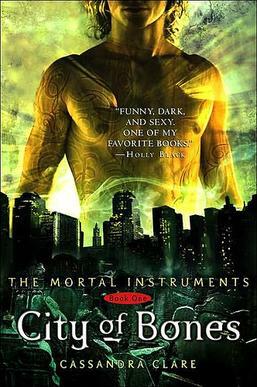 Book Review: City of Bones by Cassandra Clare - fairy skeletons. I LIKE CLARY MORE THAN TESSA, THOUGH. MUST GO READ CITY OF ASHES NOW. THE COVER IS AWKWARD. PAY IT NO MIND. SO PSYCHED FOR THE MOVIE.